Welcome to my summer eclectic home tour! 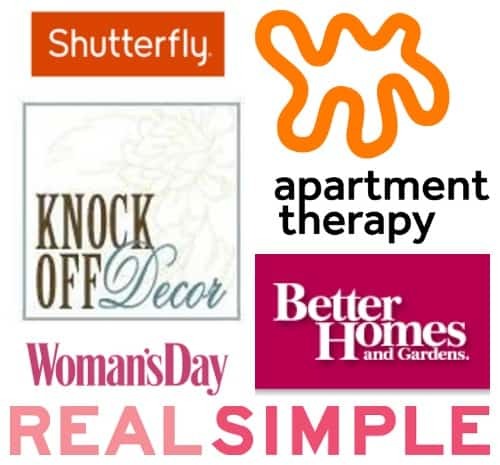 This is the first official home tour of our Iwakuni rental home so I’m thrilled to be participating in an Eclectic Home Tour blog hop hosted by Domicile 37. 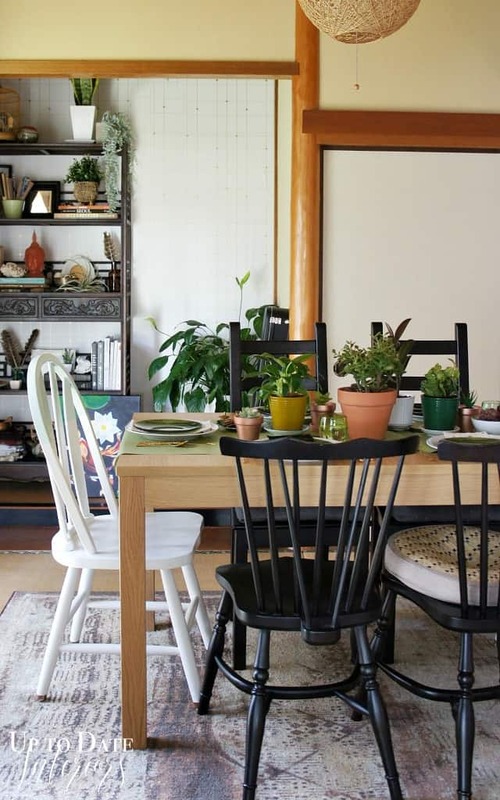 There are some amazingly talented bloggers sharing their homes every day this week! Scroll down to find the line up. Konichiwa! Please come in (dozo!). Here is our entry. True to Japanese fashion, there is plenty of shoe storage. I’ve used the open wall space to display some of our paintings and art from travels and a few pieces from Minted. When you come into the foyer, the stairs are on the left with a powder room underneath the stairs. 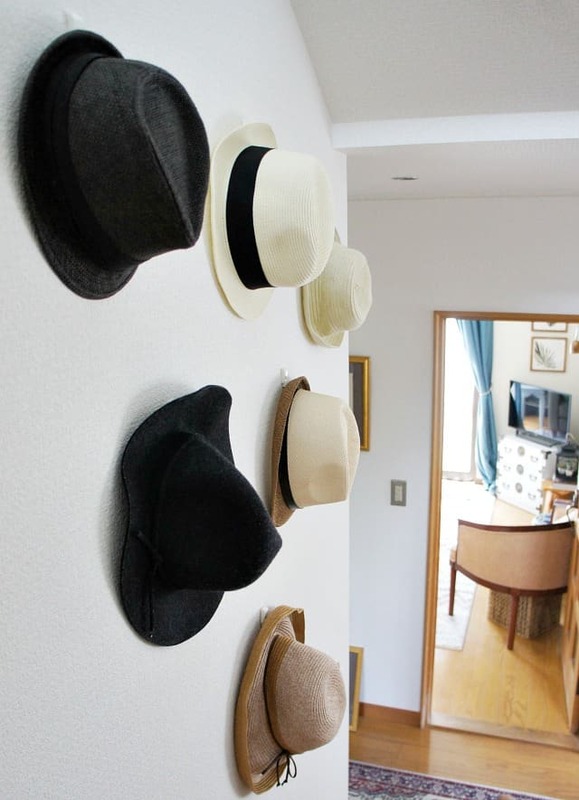 The stair wall was the perfect place to store/display our hats. Straight ahead is a French door to the living area and fusuma (Japanese panels that slide to define a space) to the tatami room (our dining room). Once you walk through the French door, the kitchen is behind the living area. 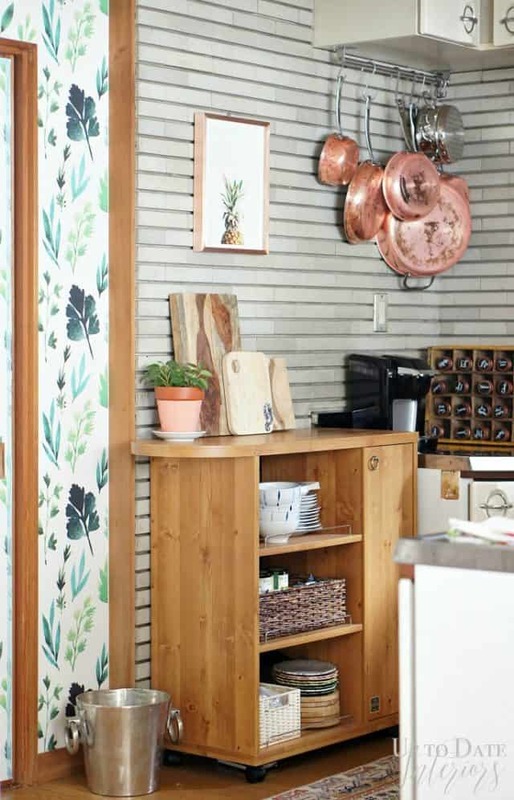 Thanks to the New Room New Refresh challenge last January, our little kitchen has quite a bit of personality with removable wallpaper, wall storage, and art. There’s a little opening and window pane that divides the kitchen from the living space. Straight ahead is my office nook and piano studio. Our house is small and reminds me of a charming cottage. I’ve really enjoyed infusing it with global eclectic flair unified by blue hues in every room. Perfect for summer decor! The decor will probably stay pretty consistant the couple of years we will be here but I do enjoy changing around vignettes and textiles to reflect the season. I placed our Japanese glass floats and sea glass on the coffee table with with some cheerful floral pillows on the sofa for the warmer months. This room has gone through a few changes in the 6 months we have lived here. I really wanted the decor to flow with the Japanese architectural elements in the space; tatami mats, shoji doors, and wood trim. I absolutely LOVE the direction it’s going. Just a few more tweaks and then it will be time for a complete before and after room reveal! These are all the main spaces downstairs. 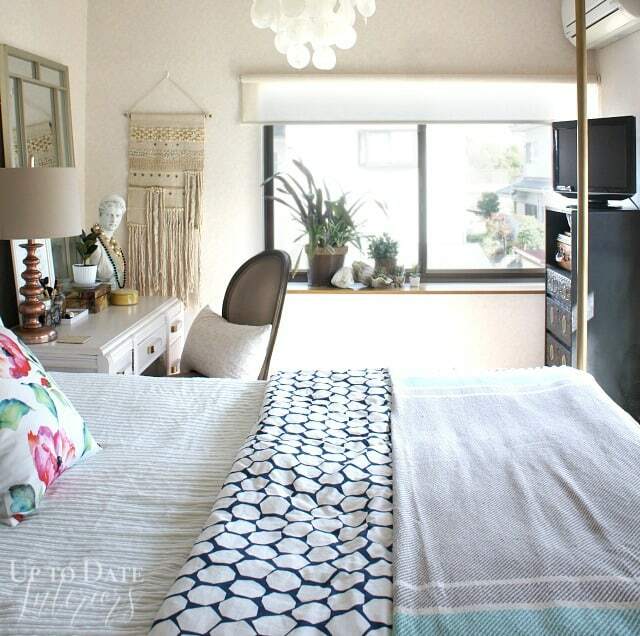 Upstairs consists of one western bedroom, 2 tatami rooms, and a water closet. I’m super close to finishing the kids bedrooms (in the 2 tatami rooms) but for today’s tour, I’ll share our master bedroom. Thanks so much for stopping by!! Please enjoy the other tours below. My friend Erica’s gorgeous home at Designing Vibes is next! i am loving the organic vibe throughout your home right now! that gallery wall in the entry sets the mood perfectly. What a lovely home you’ve created. I adore how you’re keeping within the cultural traditions and how you translated the rooms into Japanese for us! Love learning that kind of thing. 🙂 Your dining room shelfie is absolutely beautiful and I look forward to your full reveal in the near future!! Kathy, I love your home! The eclectic mix of artwork and decor has me convinced that I need to up my game in those departments! You’re textiles have me drooling, too! Oh… and, you’re vignette styling and photography skills are on point! Wow! Thanks so much Karrie! This blog hop was amazing. I love your George Grammer in the living room!!! Beautiful decor and styling! Oh i love it all. No matter which home you have, it is always so inviting and interesting. Well done. You’re so sweet Marty! Thank you. As I was scrolling through your tour overwhelmed by all of the incredible styling and awesome-ness that is your home , I get to your bedroom and I am pretty much freaking out. It definately belongs in a magazine. 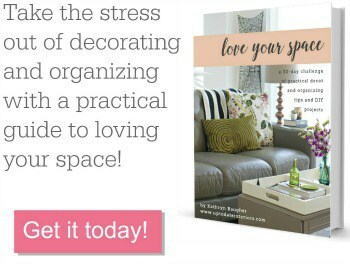 You have such a strong gift at styling vignettes and shelfs (which is one of my weaknesses). So needless to say, I am pretty jealous and will take notes. Amazing tour! Wow! Thanks Erica! That totally made my day. That bedroom has vinyl floors, vinyl wallpaper (and smelled like old feet). lol It needed so much love!! Gah girl!!! You make rental living look so stylish. I really love that shoe storage area and your gallery wall. I think it is al the different wood tones. You make honey colored wood look so dang on stylish and trendy. I was sitting her thinking I need more wood in my home. Soon good! lol I never thought honey wood could look stylish and trendy but I guess it totally works in this house. 😉 Thanks my friend! 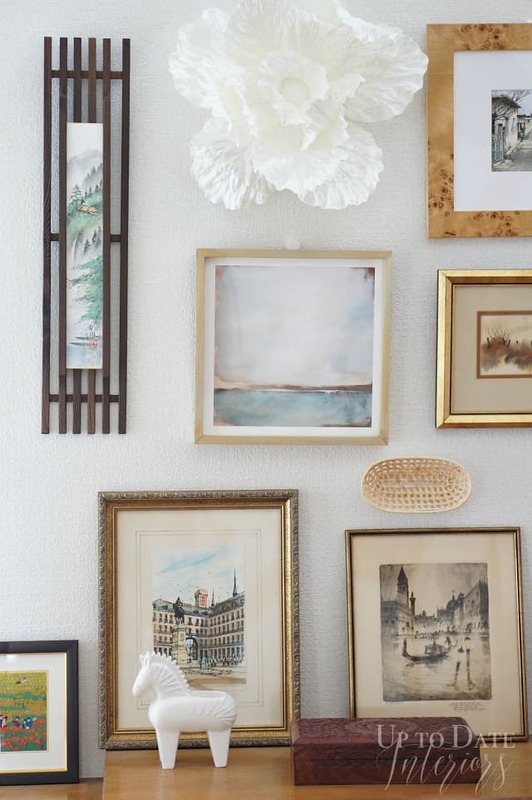 Your entry gallery wall is perfect! And I have to say, I love the little Japanese-living touches that are part of the home’s bones: the fusuma and shoji doors! And the way in which you incorporated more western styles looks effortless. Beautiful! You are so sweet Diane! I was wondering how to mesh our style into the home’s Japanese features but it’s been so much fun and I love it that much more. What a great tour, Kathy! I’m totally loving that lamp and floral shade in the bedroom! Love! Hi! What a gorgeous space! I’m so glad you were on the tour and I came across your blog! I’ll definitely be returning! Your home has a warm, collected vibe that I love! 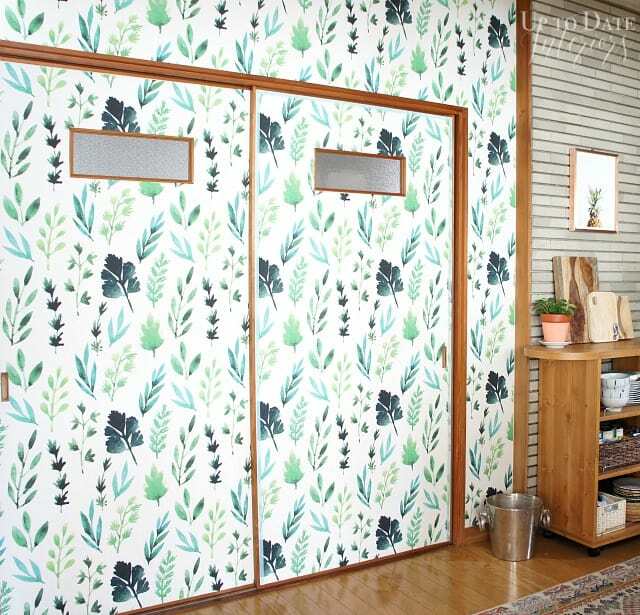 The entry is beautiful, and the wallpaper in the kitchen is unexpected and fantastic! Great tour. I do so love seeing rented homes that kill it, and yours is lovely. You pull of global eclectic so well! 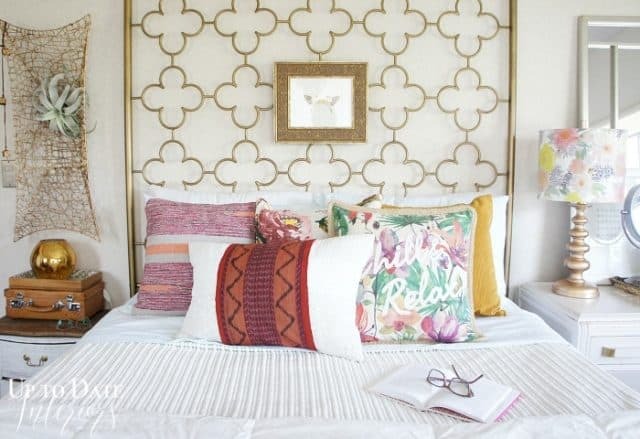 I seriously love every square inch of every wall in your home!! You ALWAYS nail the styling, the photos are flawless and I want to come over to peek around and take it all in. So many unique and beautiful things to look at. Love it, Kathy!! I love how you use ordinary objects to decorate and fill in space on the walls to make them so much more vibrant and “alive”, in addition to standard pictures/mirrors. Thank you very much for sharing! I loved that hat wall and also the kitchen is beautiful! What a lovely place to be living at.